Meet the revival of the camera obscura, which we hope as photographers you already know is the great-grandfather of cameras. It’s a beautiful maple (or walnut) hardwood-built 6-inch-cubed 33-oz goodness that features a spherical 38mm glass lens and a 5-square-inch ground viewing glass. Now meet its revivalist, Les Cookson of Lincoln, CA. He’s been building camera obscuras, camera lucidas, and zoetropes for different individuals and institutions for several years now. Last year, he has successfully raised the funds for his zoetrope-revival project. Today, he is asking for our help once again. He and Ken Higginson just started a Kickstarter project together to help fund the resurrection of the camera obscura for use in the general public – in art, in photography, in cinematography, or if you prefer, in home décor. And they’re offering more than Thank You postcards, bracelets from some obscure Tibetan town, or a measly discount for the products in exchange for your support. 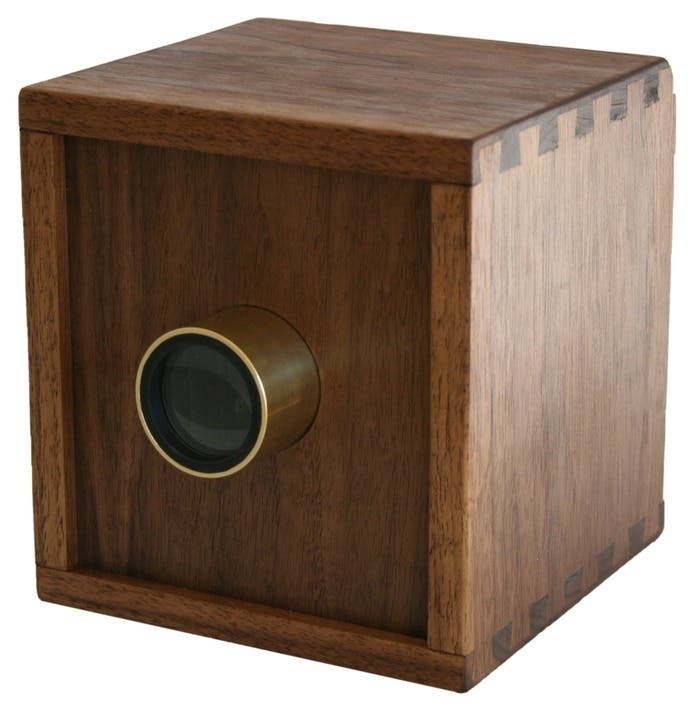 For pledges starting at $59, you guys will get either your very own camera obscura or its DIY kit (basically made from the same materials, just unassembled) version, plus a few extras depending on how much you’re pledging. They’ve just made their pledge goal but you’ve still got 6 days left if you’re interested owning one of these wooden babies. Cookson promises quality materials and professional woodworking on every single one of the units they produce and he comes with the National Gallery of Art’s seal of approval (he built 30 camera obscuras for them for their Johannes Vermeer workshop) so we think this project is promising. Why don’t you go check out the details for yourself on their Kickstarter page?